After years of using our old design, we’ve finally revamped our blog to bring it up to date with a more modern design. The new design is much cleaner than the old one and is fully responsive, which means this site should automatically adjust the layout so that it looks good whether you’re browsing on a mobile, tablet or desktop. We hope you enjoy the new look! Merry Christmas everyone! Despite officially announcing my retirement nearly 2 years ago, I still visit here from time to time and it pleases me greatly to see people still enjoying the Adoption Agency despite no longer being updated. This year we continue our Christmas tradition, but I have decided to bundle some surprise extras along with Delibird as a Christmas gift to everyone! I have just updated the AA to 3.0.4 which adds support for gen VI Pokemon and optimises the site layout for mobile and tablet devices. Delibird will be staying for longer than usual this year to give everyone a chance to visit and receive his gifts. I have some time off work so expect some more surprises in the coming days between now and early 2015! Since I am adding to code that has not been updated in a long time, there may be some errors here and there, especially with the introduction of gen VI Pokemon. As always, please report any bugs you find in the appropriate forum and I will do my best to fix them. This post has been a long time coming but after months of inactivity I think it only fair I make an announcement than continue the silence. As the post title suggests, I am officialling announcing my retirement. This means I will no longer be actively developing the Adoption Agency. What it does not mean, however, is that the Adoption Agency is closing. The server is paid up for well over a year at this point so the Adoption Agency isn’t going anywhere. Nor am I. The Pika Club has been around since 1999 so will be 14 years old this year. Since I am 23 this means TPC has existed for more of my life than it hasn’t at this point so as you can imagine it’s a hard thing to give up. I used the Adoption Agency (and its predecessors) as a means of teaching myself how to code and I used to develop it in my spare time outside of school/university. However since graduating I no longer have the spare time I used to and the code it’s based on (phpBB) is outdated at this point. I want to branch off into other areas of coding, such as actual video games. As a hobby project I created entirely in my spare time and offer completely free of charge I can no longer justify sacrificing the spare time I have nowadays like I once could. I’ve updated the live version of the Adoption Agency to include the new modifications I was working on for 2.3. Unfortunately no new ‘big’ features are included since a few were under development but none are complete enough to be released. As I said, though, I’m not going anywhere. I do still like coding and I really enjoyed making something a lot of people got entertainment out of. The AA is certainly not one of the bigger adoptable sites, but it did develop a close-knit community of regulars which is truly what kept me going for as long as it did. I’ll still be hanging around the forums and I’ll still fix bugs. I’m not ruling out any new development, either. But if it happens, it will be one new feature at a time rather than the large ‘updates’ that were used up to this point. I’d really like to release all the inaccessible Pokemon and finish the 2.3 ‘big’ features as believe me, there were some cool ones. But no promises. 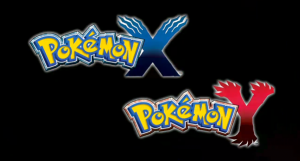 Pokémon X & Y Announced – First full 3D Handheld Games! Pokémon X and Pokémon Y have just been announced as the next games in the main Pokémon series and are coming to 3DS worldwide in October 2013! 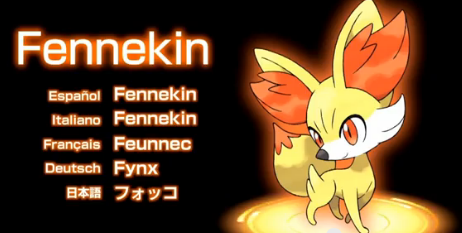 5 new Pokémon have been shown so far, 3 of which have been named and appear to be the new starters. 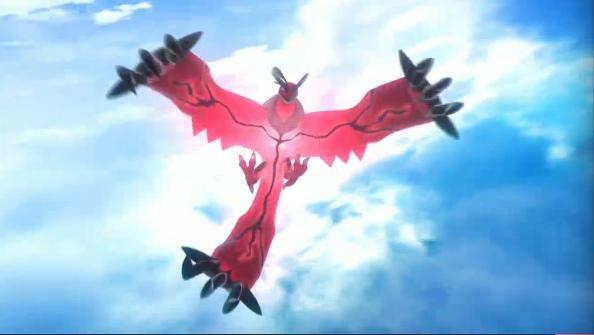 Also shown is what appears to be 2 new legendary Pokémon, although no names was given. I am pleased to announce the release of the Adoption Agency version 2.2 as well as a number of software upgrades. These have now all been complete and there should be no issues but please get in touch if you run across any. Gifting – You may now send gifts of money, items or Pokémon to other users! 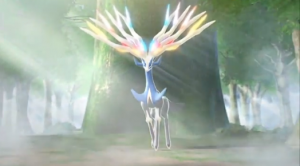 Natures – Pokémon now have natures! Natures can alter a Pokémon’s abilities. 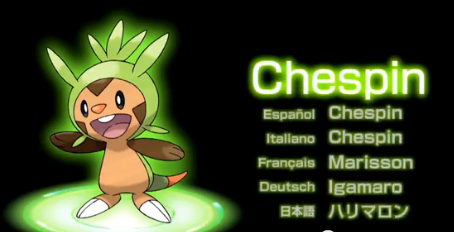 For example, Pokémon with Hasty natures mine ore faster than others! Pokérus – Pokémon can now become infected with Pokérus. There is a small chance of them catching it organically and it can be passed on to your party Pokémon if you interact with an infected Pokémon. Currently this only makes Pokémon mine faster but will be expanded to more features in the future. Country flags – Your country is now recorded based on your IP. This has two major benefits: Pokémon gain slightly more EXP when interacted with by a breeder from a different country to their owner, and when two Pokémon with OTs from different countries breed there is a slightly higher chance of the egg being shiny. Pokénet – You can see on the top right of the page there is now a place to post status updates. These will be displayed on your profile page and in the future I’m hoping to add the functionality to follow other breeders so you can keep track of what your friends are doing! What’s new in Pokémon Black Version 2 and Pokémon White Version 2? Two brand new adventures for the Nintendo DS and Nintendo 3DS have just been released, Pokémon Black Version 2 and Pokémon White Version 2, which will be exciting news for anyone who has enjoyed any of the titles in the Pokémon games series so far. Diehard fans of Pokémon games and of the predecessors to the new titles, Pokémon Black Version and Pokémon White Version (released in March 2011) may be asking – what’s different about the new versions of the games? Let’s take a look. Pokémon Black Version 2 and Pokémon White Version 2 may carry on where the previous games left off, but an awful lot has changed in the last couple of years. 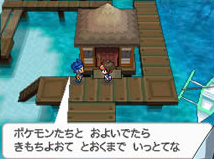 The locations you travel through as you progress in the game are amongst the biggest changes in Pokémon Black Version 2 and Pokémon White Version 2. 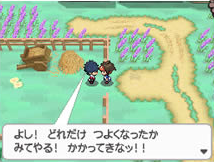 The action is still set in the region of Unova, as you may remember from the original Pokémon Black Version and Pokémon White Version. However, there are many new locations to explore in the new version of the game, as well as changes to familiar places for you to check out. 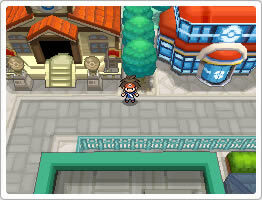 You’ll find many of the new locations when you start the game and start to explore the Western side of Unova. One exciting new area you’ll encounter in the game is the Black Tower and White Treehollow in the Black City and White New Forest, where there are chances to purchase rare items and keys for the eKey system. The new locations in Pokémon Black Version 2 and Pokémon White Version 2 also feature new Pokémon for you to collect, and some of these Pokémon you won’t have been able to get in the earlier versions of the game. 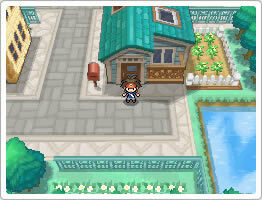 Another exciting new feature of Pokémon Black Version 2 and Pokémon White Version 2 is Pokéstar Studios, which can be found in Virbank City. This bustling, vibrant location will give you lots to see and do, but make sure you visit Pokéstar Studios where you will be able to create your own hit movie. You can only do this once you’ve defeated Gym Leader Roxie and her Poison-type Pokémon, but once you’ve won the battle and made your film, you’ll be able to move on to the next location. The ultimate aim of Pokémon Black Version 2 and Pokémon White Version 2 is to discover two new Legendary Pokémon, Black Kyurem and White Kyurem. These Dragon Pokémon have devastating new Ice-type moves and abilities, so are well worth tracking down! Pokémon Dream Radar and Pokédex 3D Pro are two brand new downloadable games that will be exclusively available for players enjoying the game on a Nintendo 3DS console. Pokémon Dream Radar is a virtual-shooting game which allows you to catch Pokémon to add to your Pokédex in Pokémon Black Version 2 and Pokémon White Version 2. Pokédex 3D Pro, on the other hand, gives you access to all the information you need on each Pokémon to become a Master Trainer via the National Pokédex. WhoKnows_WhoCares has completed another round of video guides for Videojug, ranging from topics like ow to catch Budew to How to get Oak’s Letter. In total there are 20 new videos. You can view the full list of videos available by clicking here or by visiting our profile page on Videojug. Some release dates have been announced for Pokémon Conquest and Pokémon Black/White 2 in the west! Pokémon Conquest, which has already been released in North America, has been given a European release date of July 27th 2012. 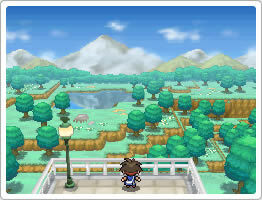 Pokémon Black/White 2 will be released in North America on October 7th 2012 and on October 12th 2012 in Europe. 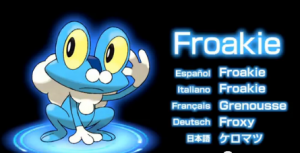 Ahead of its official release date in Japan tomorrow, Pokémon Black/White 2 has already leaked. We’ll be bringing your more updates as they become available now that the game is playable. Our forums recently got a much needed update. The most obvious difference is the new layout, called ‘Pokémon Forever’ which replaces our old ‘Sky’ layout which is several years old at this point. A screenshot of our new forum layout.